The National Disaster Management Agency (NaDMA) is now one step closer to getting the northern parish St Patrick, tsunami ready. 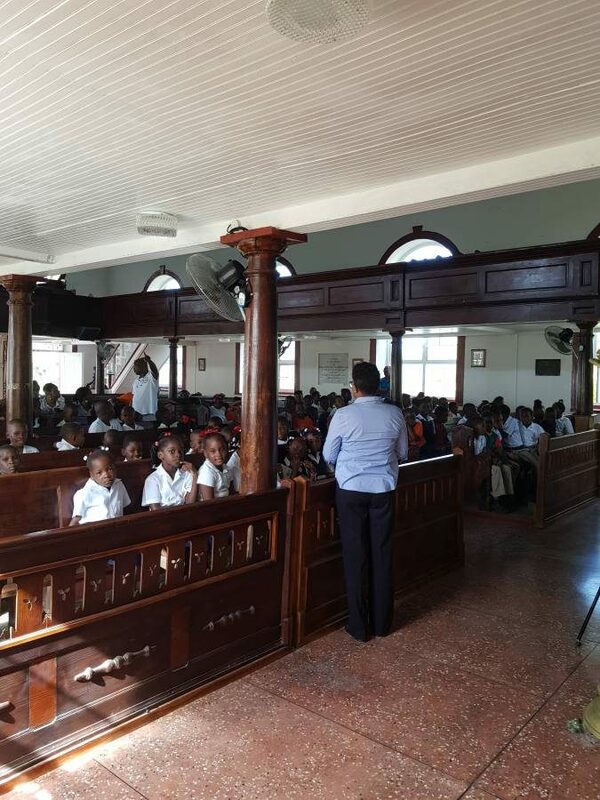 On Friday, 16 February, a team from the secretariat conducted another leg of the public awareness campaign in the parish, when we took the message of Tsunami Readiness to the principal, staff and students of the St Patrick Anglican School. Through a 20-minute Power Point presentation delivered by Community Programme Officer Simeon Granger, together with the distribution of flyers, brochures and the production of a 30-minute piece on the Caribbean Tsunami Early Warning System, the group was engaged for just about an hour in an interactive session which gave them an opportunity to question the NaDMA team on issues that were unclear and also to make suggestions on the way forward. “I think this a great initiative by NaDMA to come to our school to make the presentation on such an important topic. 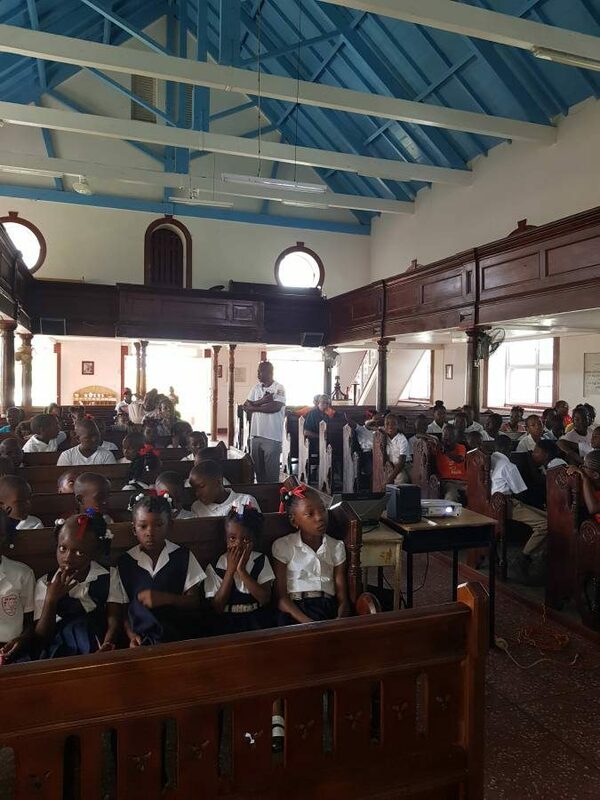 We hope this will continue in the other schools and I believe this message should also be taken to PTA’s of the various schools as it will not only help the school prepare but also our community,” said Wilma Alexander, Principal of the St Patrick Anglican School. NaDMA will be continuing these mass presentations in schools throughout the parish and will also include churches and community groups. In addition to the presentations, parishioners will soon witness the erection of over 60 signs from Davey in the south to Levera in the north, all identifying tsunami zones, evacuation routes, maps showing affected areas and general tsunami warning information.